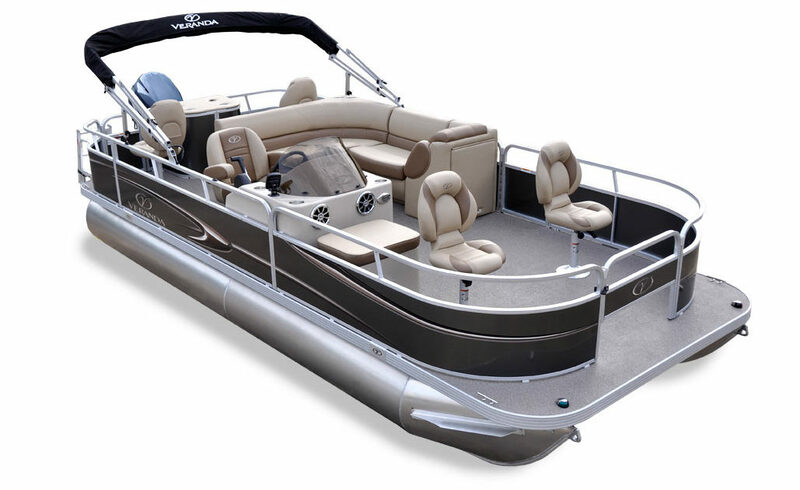 Reputed for building pontoons that can last a lifetime, all of Veranda Marine’s pontoon boats are made of premium quality materials and sports the best construction with the richest features. Every pontoon manufactured by Veranda features an all aluminum, all welded inter-locking deck system, making it the most durable hull construction in the industry. Furthermore, they have key features such as full-length and enclosed M-Brackets, heavy duty aluminum splash Fins, integrated waveshield, and aluminum interlocking planks. All pontoons are also multi-chambered and pressure tested to ensure that they are safe to use. All pontoons that are manufactured by Veranda are certified by the National Marine Manufacturers Association (NMMA), and either meet or exceed the strict safety and quality standards set by the American Boat & Yacht Council and the U.S. Coast Guard.